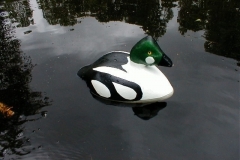 Welcome to the jacducks Goldeneye Decoy Page. 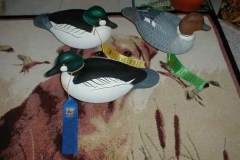 I spent some time at the Sinclair Flats Waterfowl Assn show in the Detroit area. These pics are the results. 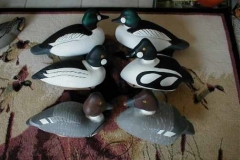 The brothers and sisters of these Goldeneyes were shipped to customers just prior to the show. 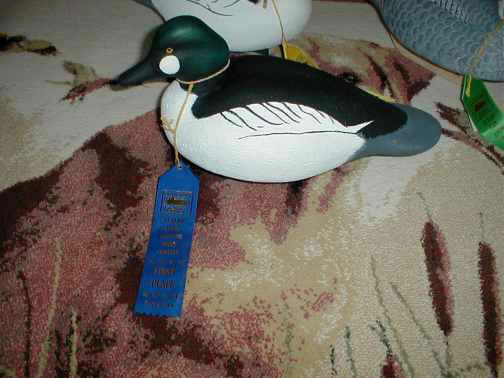 I guess I am doing something right when my hunting decoys can win or place in shows. 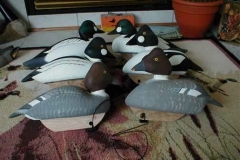 Large water decoys, these are self-righting and have deep keels. I normally put a few on the outer edge of my diver spread when the ‘eyes are around. 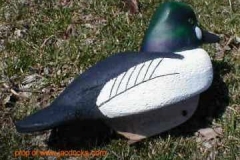 Love to hear the whistler’s whistling wings. 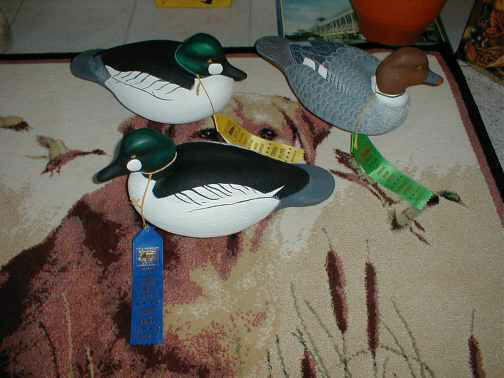 I normally do 4 drakes to 1 hens. I am working on my own decoys as I get a little time. 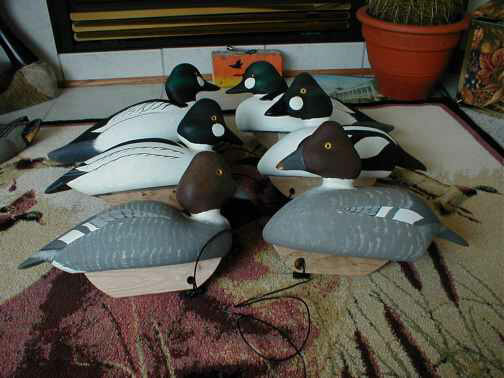 These are self-righting hollow cedar decoys based on an antique patterns. 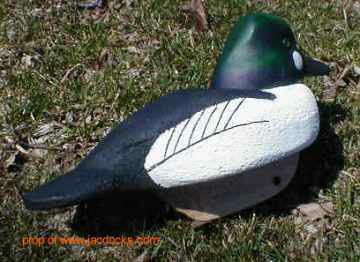 It is time to carve to order on these so if you want a stylish spread let me know. 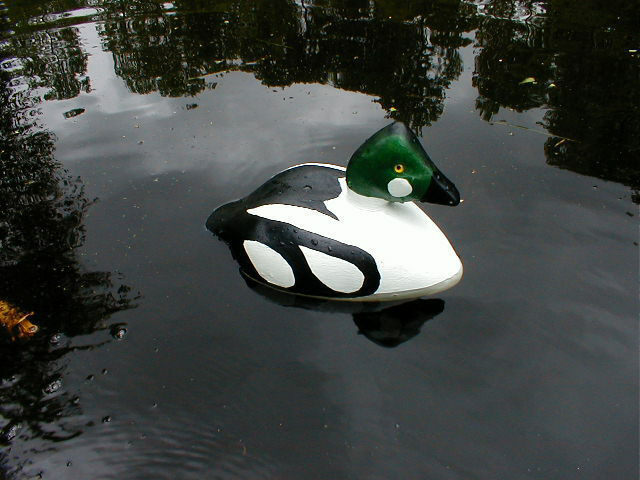 This rig of Goldeneyes comprised of my pattern, a pair of antique style patterns the long narrow breasted is a Noah Sterling pattern and the lower longer pair are a 1936 Ward Brothers pattern. 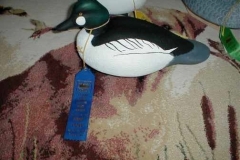 They went to West lake Ohio show of the Ohio Decoy Carvers and Collectors show.